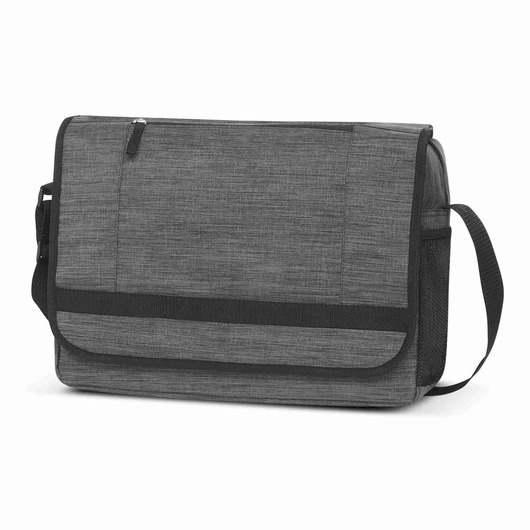 Casual messenger style bag for school, travel or work. 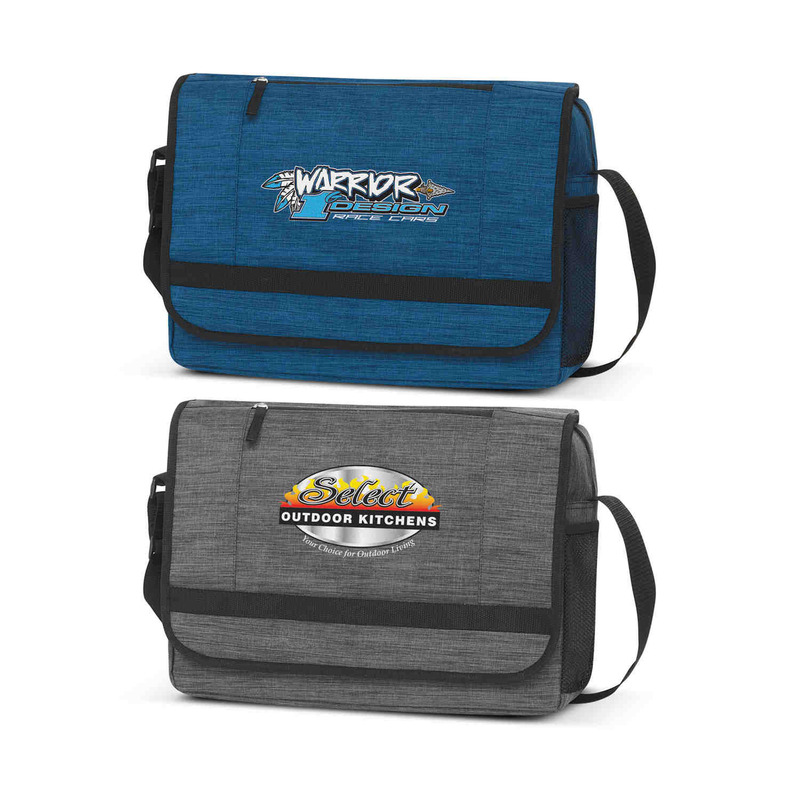 Stylish messenger bag that is absolutely perfect for carrying your wallet, keys, small tablet, pens and other belongings. Great for commuters or travellers. So stop stuffing everything in your pockets and get this bag! Manufactured from poly-canvas that is woven with different coloured fibres to create a very fashionable "heather style" two tone fabric. It has an adjustable shoulder strap with a shoulder pad and an internal padded laptop compartment. Other features include a multi-functional organiser, an external front pocket and a mesh water bottle holder.